Now you can master meditation at the push of a button! 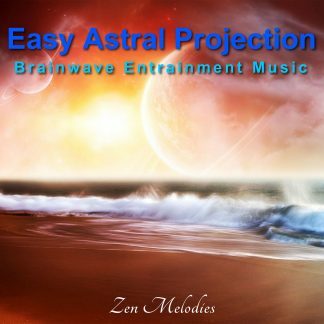 This amazing new “instant meditation” music uses advanced brainwave entrainment technology that allows you to immediately and effortlessly enter into a deep state of meditative trance from day one. And it’s as easy as listening! Now You Can Achieve Deep, Blissful States of Zen Meditation Without Years of Difficult Practice and Frustration! Beginner meditation can be difficult and frustrating. It requires years of daily practice to achieve a deep enough trance to really begin to tap into the unlimited potential of the subconscious mind. Your brain operates at various different frequencies depending on your current state of consciousness. When you are in a deep sleep your brain is operating at a much lower frequency than when you are wide awake and focused on a complex task. Deep meditation occurs in the frequency range right above sleep, but slightly below waking consciousness. This is the state where the barriers between the conscious mind and the subconscious mind melt away, giving you conscious awareness and control of your unlimited potential. It is the state that so many meditation practitioners spend their entire lives trying to achieve, while usually only catching glimpses. Brainwave entrainment is the process of guiding your brainwave activity into a desired state by allowing it to follow, to “entrain”, to the frequency of an audio signal. Every state of mind is accompanied by a certain set of brainwave frequencies representing the electrical activity in your brain. You simply guide the electrical activity of your brain into the frequency range associated with a state of deep trance—et voila!—you achieve a deep state of trance! However, the brainwave frequencies we want to activate for a state of deep meditative trance are much lower than anything the ear can hear… at around 7Hz. In order to deliver a signal the brain can hear and follow, we use two different methods. Although the ears can’t hear a tone at 7Hz, we can deliver a tone of let’s say 400Hz to the left ear and 407Hz to the right ear. The brain will the create a 3rd tone from the difference between the beats at 7Hz. Even though this 7Hz tone is nothing more than an electrical signal originating inside the brain, you can still hear it as if it were an audible tone, sort of like a distant rumbling. The brain will then entrain to that frequency. 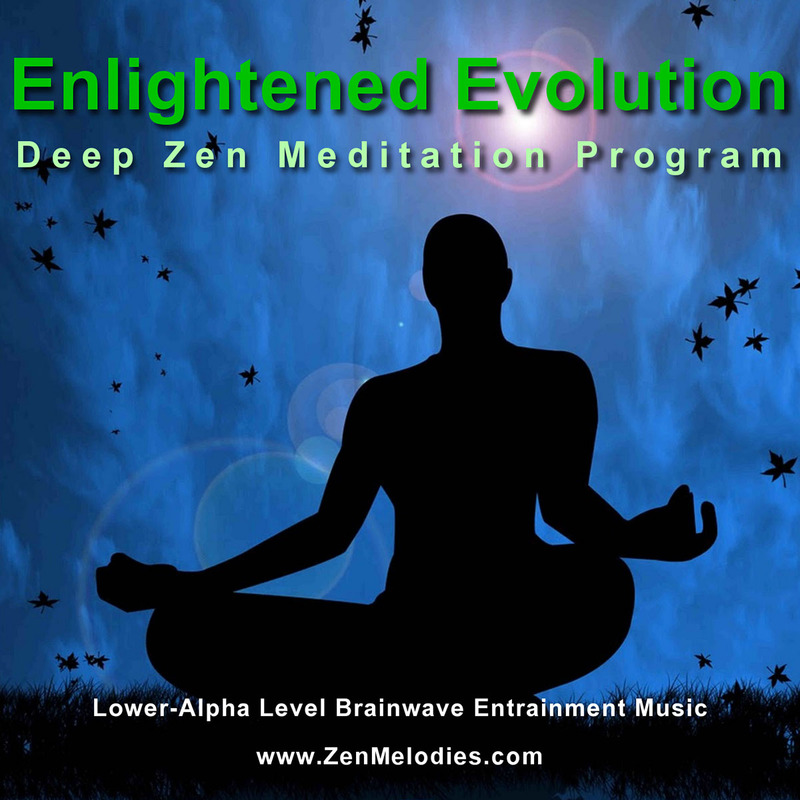 Enlightened Evolution utilizes a mix of inspirational music and soothing, ambient soundscapes embedded with binaural beats and isochronic tones to deliver one of the most effective, deep and pleasurable meditation experiences imaginable. 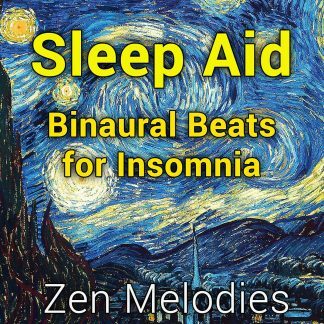 We start by carefully weaving the binaural beat frequencies into the music itself, rather than placing bland droning tones in the background like most others. After all, a pleasurable listening experience is just as important to the process. We then add isochronic tones to certain parts of the music, again just enough to be effective, without destroying the listening experience of the music. The result is an enjoyable work of art that will guide you into a very deep meditative trance instantly and effortlessly. Nobody else offers this level of quality at such a low price! 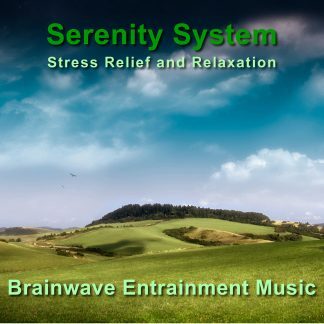 This exclusive mix of brainwave entrainment technology and pleasant music is guaranteed to deliver consistent results to any listener at any time! The beginner level eases you into the process of meditation with a peaceful and relaxing one hour journey through the upper levels of trance. You will become comfortable with exploring your own inner world while learning the basic breathing exercises necessary for more advanced meditation. Decreased stress and anxiety, a lasting feeling of centeredness and inner peace, and increased mental focus are often experienced within the first week. By the end of your first month you will have made more progress than most students of traditional schools of meditation make in their first two years.